Goddard Studios is a boutique photography collaboration between Anna and Collin Goddard. 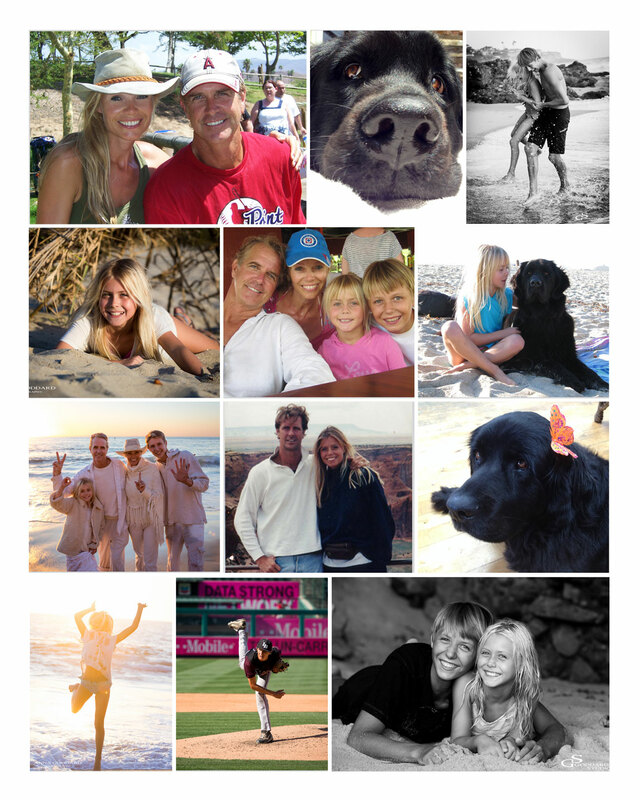 We’ve been married for a very long time, have 2 awesome kids, an awesome dog, love life, and live in beautiful Laguna Beach, California. Before kids, we traveled around the globe for many years and were exposed to- and worked with the best mentors in the fashion business. After the birth of our first child we settled down in Laguna Beach, and used all the acquired knowledge to start our own photography business. We specialize in photographing “people”, which always brings an element of the unknown. While any shoot will have certain outcomes that will have to be achieved, we strive to bring the true character and “realness” out of each person. Many times this means that we have to tell people to stop posing, we want to capture everybody as they are, their true selves and soul, and great energy. Anybody can learn the technical aspects of photography, but having “the eye” is not something that can be taught overnight and in a photography class. It’s all about the moment, being observant, having good timing and experience. We thoroughly enjoy what we do and all the aspects of all the different photography services we offer, from kids, to families, to head-shots, fashion, proposals, engagements, weddings, sports, commercial, advertising, food photography, you name it, we do it all. Our work has been featured in ads and publications such as Ceremony Magazine, Style Me Pretty, Aroos Magazine, Brides Magazine, Modern Luxury Bride, Style me Pretty, Style Unveiled, Girlfriend Magazine, Sanctuary Clothing, Micro Kickboard, Australian Elle, Belle Mariage, Ripcurl, Carats & Cake and many more. We challenge ourselves every day, think outside the box, approach each shoot with new inspiration and goals and love giving our clients the pictures they deserve to have; a “Treasure for Life” that will be seen by generations to come. Chanel and Sasha at the beach, their favorite hangout.